The U.S. economy gained 312,000 jobs in December, and the unemployment rate rose to 3.9%, according to figures released this morning by the U.S. Bureau of Labor Statistics. This report shows an increase in unemployed workers and while wage gains are stronger, they are not consistent with a tight labor market. This ongoing financial and economic volatility means that the Federal Reserve needs to hold off on more rate increases. Last month’s biggest job gains were in health care (50,000), professional and business services (43,000), food services and drinking places (41,000), construction (38,000), manufacturing (32,000) and retail trade (24,000). Employment in other major industries—including mining, wholesale trade, transportation and warehousing, information, financial activities and government—showed little change over the month. Among the major worker groups, the unemployment rates rose for blacks (6.6%), adult men (3.6%) and Asians (3.3%). The jobless rate for teenagers (12.5%), Hispanics (4.4%), adult women (3.5%) and whites (3.4%) and showed little or no change in December. The number of long-term unemployed (those jobless for 27 weeks or more) declined slightly in December and accounted for 20.5% of the unemployed. 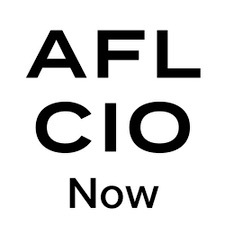 This blog was originally published by the AFL-CIO on January 4, 2019. Reprinted with permission. The U.S. Census Bureau reported Wednesday that the August trade deficit rose 3 percent to $40.73 billion from July’s $39.5 (slightly revised). Both exports and imports rose, with imports rising more than exports. August exports were $187.9 billion up $1.5 billion from July. August imports were $228.6 billion up $2.6 billion. The goods deficit was $60.3 billion, offset by a services surplus of $19.6 billion. Imports from China increased 9.5 percent. Is Increased “Trade” Good If It Really Means Increased Trade Deficits? “Trade” is generally considered a good thing. But consider this: closing an American factory and firing its workers (not to mention the managers, supply chain, truck drivers, etc affected) and instead producing the same goods in a country with low wages and few environmental protections, then bringing the same goods back to sell in the same stores increases “trade” because now those goods cross a border. This is how “trade” results in a structural trade deficit. Goods once made here are made there, the economic gains move from here to there. Offshoring production can be a good thing, but only in a full-employment economy. This is because with everyone employed companies can’t find people to do things that need to be done. Meanwhile workers in other countries need the jobs. The people there can afford things made here, and trade balances. Everyone benefits. But since the 1970s the US has used “trade” and other policies to intentionally drive unemployment up and wages down, to the benefit of “investors” (Wall Street) and executives, who then pocket the wage differential. This pushes the economy’s gains to a few at the top, increasing inequality, which increases the power of plutocrats to further influence policy in their favor. The stagnation of wages for working people just happens to correspond with the introduction of the intentional “trade” deficit. Again, “trade” in this case means deindustrialization: closing factories here, opening them there and bringing the same goods across a border to sell in the same stores. On Monday, Congresswoman Louise Slaughter unveiled the Trade Deficit Reduction Act, which calls for a change in how we approach international trade in order to benefit our workers. The legislation would put a government-wide focus on addressing the most significant trade deficits that exist between the United States and other countries. The U.S. has run trade deficits since the 1970s. … “The last thing our community needs as we work to reignite our manufacturing base with advanced technologies like optics and photonics is to undo this progress by enacting another NAFTA-style trade deal. We need a whole new direction in our trade policy, which is why I am standing with workers from PGM Corp. today to unveil the Trade Deficit Reduction Act. This legislation will change how we approach international trade and make it benefit our workers and manufacturers,” said Slaughter. The bill would require the administration to identify the countries with which the U.S. has the worst trade deficits. The bill also directs the administration to develop plans of action to address the trade deficits with those countries, with strict deadlines and oversight from Congress. The intentional trade deficit and other policies to drive up unemployment and drive down wages greatly enrich a few, but history tells us the consequences are dangerous to society. For example, the rising support for Trump and other far-right populists like him around the world. This post originally appeared on ourfuture.org on October 6, 2016. Reprinted with Permission. While it is good the FOMC notes the damage its policies may be doing to the African American community, it unfortunately appears too simplistic in understanding the dynamics of the market and how the growth in labor demand affects the African American community. 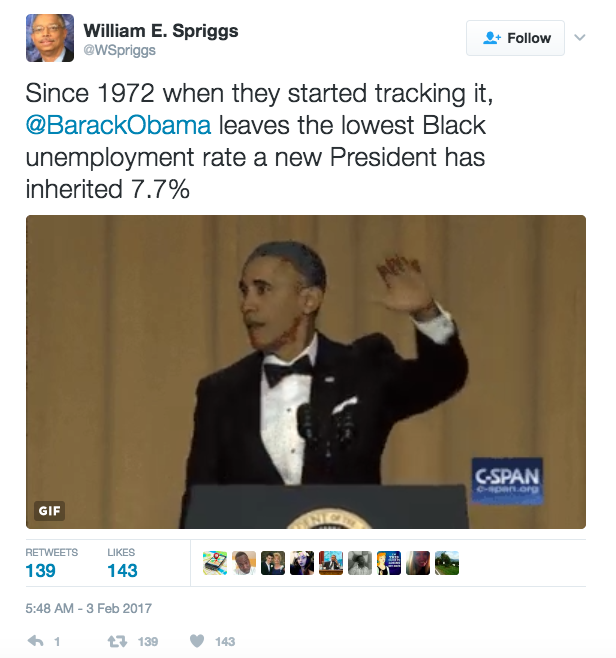 It is simplistic because it appears to say that nothing has changed; that while the African American unemployment rate of 8.6% was on par with its pre-recession level of 8.4% in March 2007, when the white unemployment rate was 3.8%, little different than June’s 4.3%. This suggests, the relative position of African Americans is fixed, immutable by macro-economic dynamics, so this lamentable gap corresponds to the best level of African American unemployment that can be reached. In short, we must be near full employment. Here is what the June report showed in detail. The unemployment rate for adult African Americans (older than 25) with Associates Degrees was 3.0%, well below the unemployment rate for white high school graduates 4.2% rate. This was a first since the recession began, for better educated African Americans to have unemployment rates lower than less educated whites. In July 2015, African Americans with Associate Degrees had a 4.8% unemployment rate compared to white high school graduates lower 4.4% rate. Further unnoticed, is that at the depths of the labor market downturn, the employment-to-population ratio for African Americans (the share of people with jobs) fell to 51.0% in July 2011, but had grown by June to 56.1%, a five percentage point gain, but a 10% increase. For whites, on the other hand, the EPOP had grown only from 59.3% to 60.2%, less than one percentage point. So, the change in unemployment rates is deceptive. The African American unemployment rate is improving on a strong growth in employment and in the relative improvement resulting from less discrimination in hiring. That success has further encouraged the rise in labor force participation for African Americans; which has the perverse effect of fighting against a lower unemployment rate, because it increases the number looking unsuccessfully. 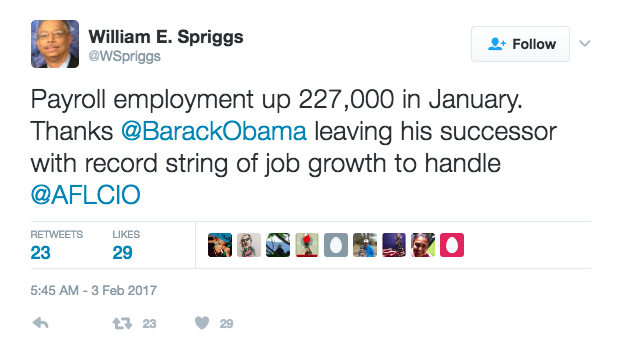 The problem for African Americans is that they face much higher probabilities of enduring long spells of unemployment. African Americans, of the same educational attainment and with the same cognitive skill levels (the so-called test score gap often mistakenly attributed as a measure of inferior schooling) as whites, face a fifty percent greater chance of being thrown into a long spell of unemployment. And, once having fallen into that labor market quicksand, face about a third less chance of escaping. The result is that massive levels of unemployment, like the Great Recession spawned, result in a very long queue of unemployed African Americans. That long line can only clear by a similarly long and sustained recovery to pluck the unemployed back among the employed. Put it simply, the unemployment rate is a snapshot composed of the probability of becoming unemployed plus the inability to escape unemployment; so it is a much more complex picture when large numbers of people are unemployed for long periods, as they are more likely to be captured by the snapshot. When unemployment spells are very short, people move out of the frame before the snapshot can be taken. The unemployment gap is not one of skill, it is the very real and present discrimination prevalent in a labor market where demand for workers is low and the power and caprice of employers is high. The relative size of the gap can change, if policies push beyond conventional measures of unemployment and underutilization of workers; it is possible to see another answer is possible. 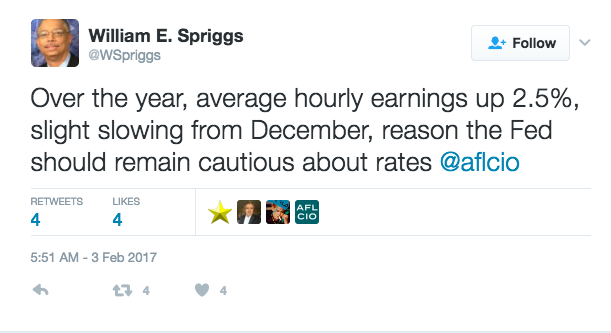 So, it is good that the FOMC at least is aware that macro-economic policies can have a good or bad effect on African Americans. The next step is for the FOMC to further understand how much a difference it can make. This is not just important for African Americans. It is important for the health of the national economy. First, everyone benefits if we push the labor market to its true and full level of maximum employment; it means more jobs and opportunities for everyone. Second, because the African American community has such little wealth, when the economy expands, it is a community very sensitive to the interest rate movements and credit availability to catch-up on purchases like cars and making home improvements. These purchases are fueled by rising employment opportunities and the easing of credit when the FOMC acts to lower interest rates and stimulate economic growth. But, in such a leveraged position, it means that a slowing economy and the loss of jobs quickly turns auto loans and home borrowing into severe household balance sheet nightmares. 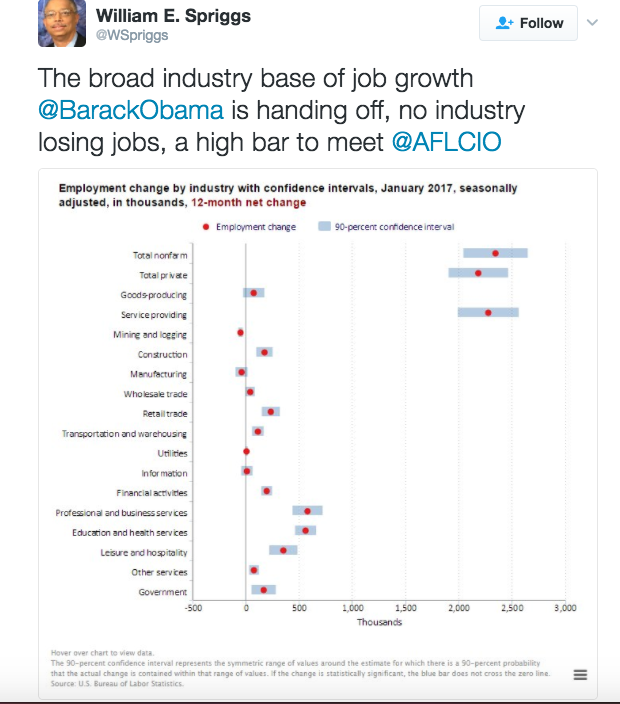 Those bad effects spill over to the broader the economy. Since African American employment is more sensitive to a slowing economy, it means the FOMC has to get it right about understanding when African Americans have reached full employment. So far, they have consistently guessed at a number that is too high, ending labor market recoveries too soon—and economic expansions too soon for everyone. 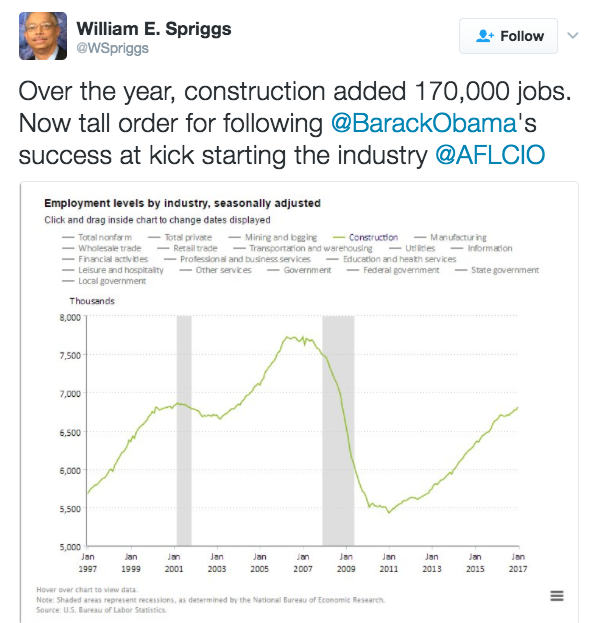 This blog originally appeared in aflcio.org on August 22, 2016. Reprinted with permission.